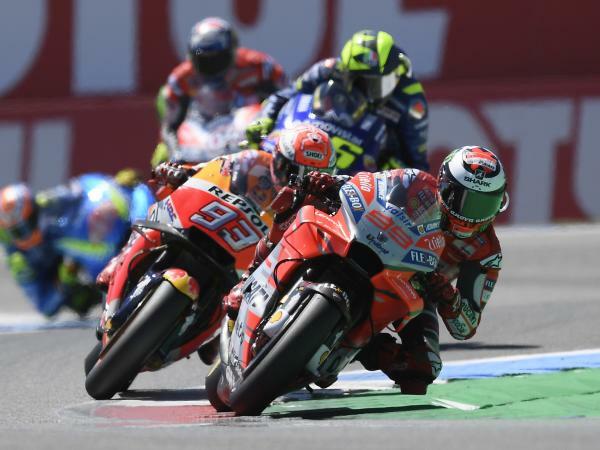 The two Ducati Team riders Andrea Dovizioso and Jorge Lorenzo finished an exciting Dutch Grand Prix held today at the Assen TT circuit in fourth and seventh place respectively. 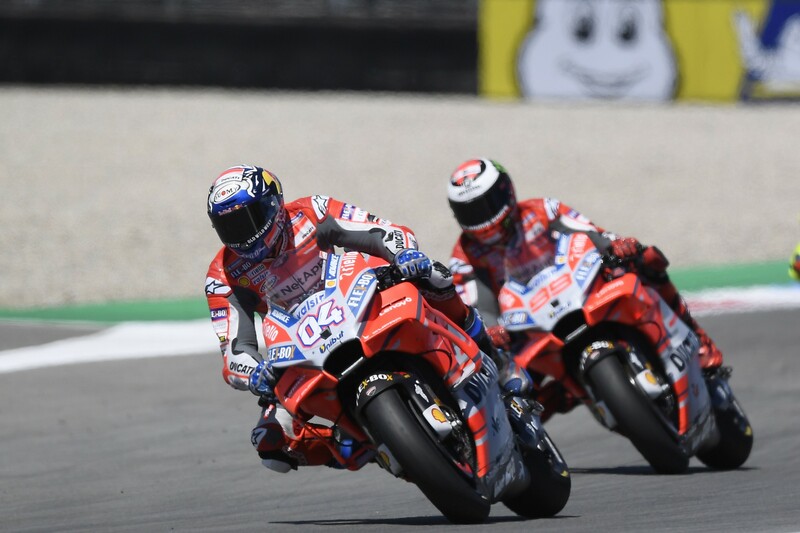 The Italian rider, who started from the second row, fought in the leading group throughout the entire race and also held the lead of the GP for three laps after the mid-point. 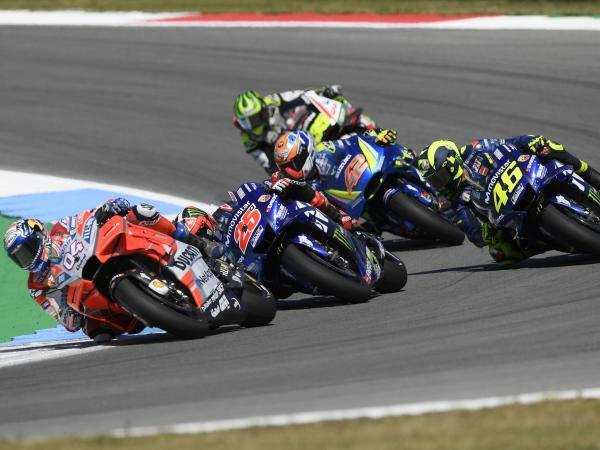 In the final stages however Andrea was passed by Marquez, Rins and Viñales and he finished the race in fourth place after holding off the attacks from Rossi. Team-mate Jorge Lorenzo also ran a good race, and despite starting from the fourth row, he managed to storm into second place at the first corner. The Spanish rider then passed Marquez and crossed the line in the lead at the end of the opening lap. After being passed by his Honda rival, Jorge took control of the race for a further 12 laps, but then lost touch with the leading group on lap 18 and he took the chequered flag in seventh place. 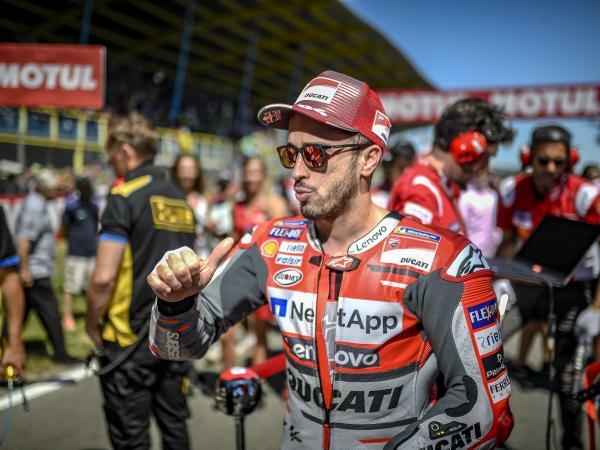 In the overall Riders’ standings, Andrea Dovizioso moves up to fifth place with 79 points, while Jorge Lorenzo, with 75 points, is now in seventh place. 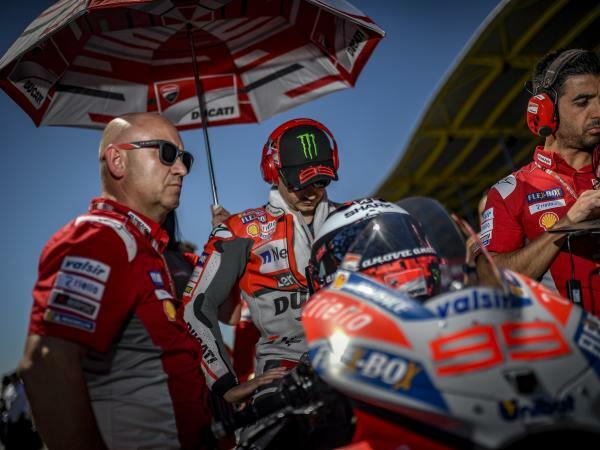 Ducati maintains second in the Constructors’ standings with 145 points. 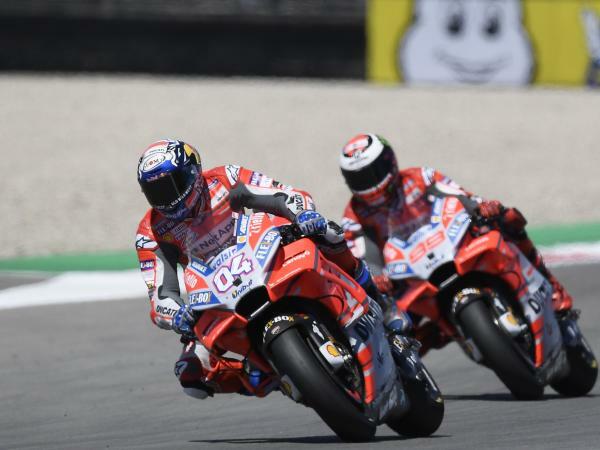 The next round of the championship will be the German Grand Prix at the Sachsenring circuit from 13th to 15th July.